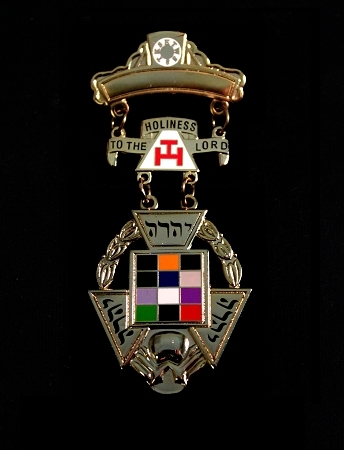 Old, yet popular style of the Past High Priest jewel. Lapel Pins & More has offered this jewel for more than 15 years. We have redesigned this jewel and now offer our NEW one for sale. Due to the limited quantities on hand, we respectfully request you call to find out how many we have, if you want more than 1. We reserve the right to sell out based on prior sales. Limited to stock on hand. This price and available quantities certainly won't last long. Subject to quantity on hand and subject to prior sale. Consider ordering some for your Royal Arch Chapter today while they are available.